Sustainable procurement is a growing phenomenon and a key component of organizations’ Corporate Responsibility and Sustainability strategy. The focus of this paper is sustainable procurement (SP) at universities in Australia and the UK. The study identifies a dearth of academic research into SP at universities and presents actionable insights gained from practitioners. Results from qualitative data collected from Australian and UK universities highlight the continued dominance of price in procurement decisions and the practical challenges faced in changing the status quo both internal and external to the university. Implications for theory, research and policy are also presented. This is an Accepted Manuscript of an article published by Taylor & Francis in Public Management Review on 5th June 2015, available online: http://www.tandfonline.com/doi/abs/10.1080/14719037.2015.1051575 The article is Taylor and Francis and permission has been granted for this version to appear here (www.drcaroladams.net). Taylor and Francis does not grant permission for this article to be further copied/distributed or hosted elsewhere without their express permission. Sustainable procurement is a growing phenomenon driven by the increasing involvement of organizations in Corporate Responsibility and Sustainability programs. Sustainable procurement in its simplest form can be thought of as environmentally and socially responsible purchasing (Brammer and Walker 2011; Walker and Phillips 2006). To be regarded as sustainable, the purchasing practices typically evaluate the supply chain and effects in regards to five aspects: environment, diversity, human rights, philanthropy, and safety (Brammer and Walker 2011, 422). In the private sector there has been increasing recognition of the risks associated with sustainability issues in the supply chain (ACCSI 2013; Econsense 2013; Harms, Hansen and Schaltegger 2013) following publicized disasters and organized campaigns focussing on issues of worker safety, pay and conditions and human rights issues at supplier factories. This has led to increasing demands for transparency regarding sustainability issues in the supply chain, something which the Global Reporting Initiative (GRI) responded to in the development of the G4 Sustainability Reporting Guidelines (GRI 2013). In universities the lack of private sector investors and their status as service providers has meant that to date supply chain issues however have not been regarded as a risk factor for the sector. Indeed, sustainability as a whole has not been regarded as something on which universities should be accountable or seen as adding value to them and their stakeholders (Adams 2013). The nature of the public sector adds a layer of complexity due to the legislative and regulatory environment and the nature of its service delivery based on the public good. In particular the university sector is both a key public service provider and consumer with expertise in teaching and research. The production and consumption of goods and services directly and indirectly impact many of the social and environmental concerns at universities. These include, inter alia, changes to the climate, resource depletion, ethical sourcing, local sourcing and atmospheric and water toxicity (Brammer and Walker 2011; Walker, Di Sisto and McBain 2008; Walton and Galea 2005). 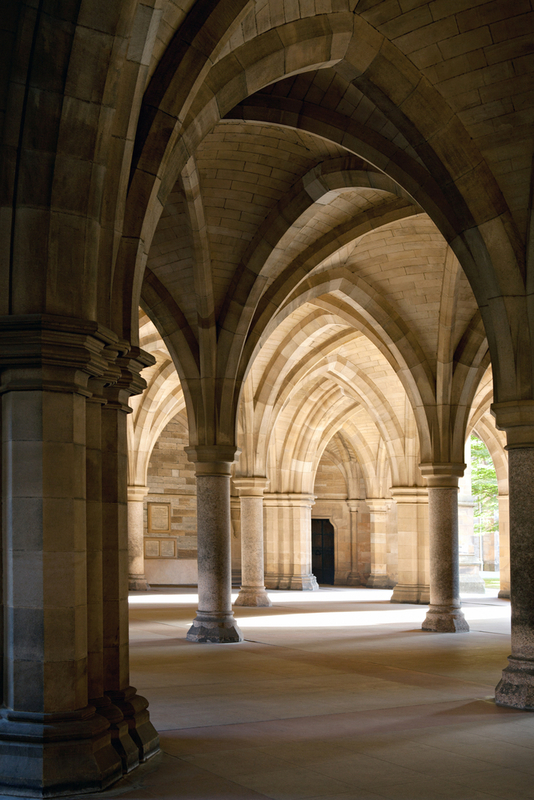 However, a review of the literature shows very little research has been conducted regarding sustainable procurement (SP) in the public sector and in particular the university sector. Furthermore, Bull, Meida, and Holland (2011) highlight the dearth of academic literature that has sought to understand the SP agenda from the point of view of the practitioner. This study hence is situated in the university sector of Australia and United Kingdom and focuses on the perceptions of university procurement practitioners. It is evident that no single universal definition of SP exists (Brammer and Walker 2011; CIPS 2009; Lutz 2009; Thomson and Jackson 2007). Moreover, a number of sources (e.g. Lukman and Glavič 2007; Lutz 2009; Meehan and Bryde 2011) have stressed the need for sustainable procurement goals to be aligned with the broader sustainable development agenda, which the United Nations (UN) World Commission on Environment and Development defines as ‘development that meets the needs of the present without compromising the ability of future generations to meet their own needs.’ (Brundtland 1987 cited in APCC 2007, 5). • Value for money over the whole-of-life of the goods and services, rather than just initial cost. (APCC 2007, 5). How SP is operationalized in the University sector hence will be explored in these two national contexts, namely the UK and Australia. • Contracts – which can be incorporated into the other functions or as a standalone. 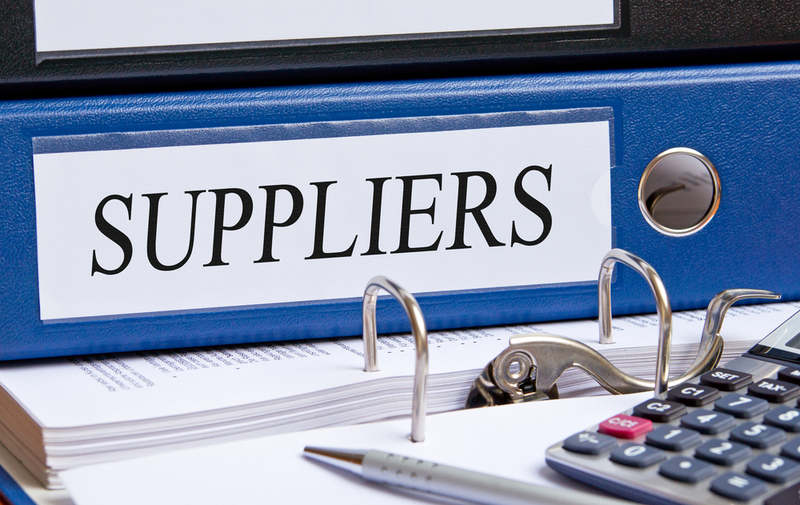 In addition to performing these functions, the procurement function in the public sector and indeed universities, enters into various upstream and downstream relationships with suppliers and customers. However, as Arlbjørn and Freytag (2012) point out, the critical difference between the private and public sector’s approach to procurement lies in their differing objectives. They argue that the objectives and scope of the public sector, and therefore public procurement is accountable not only to making a financial profit but also includes objectives such as providing education, research excellence, community development and other public goods to a large and often diverse customer base (Arlbjørn and Freytag 2012; Currie and Vidovich 2000). Quayle and Quayle (2000) conducted a study of procurement practices in higher education and further education institutions in the UK. The point of departure for their study was the recognition of the importance of procurement’s relationship with other functions in their respective institutions; the importance of supplier selection and relationship management; and the importance assigned to procurement as a value-adding activity. The results demonstrated a need for whole life-cycle management, training of procurement staff, greater awareness and priority given to the purchasing function, more accurate data, benchmarking and the value of purchasing consortia (Quayle and Quayle 2000). A study by Glock and Broens (2011) on how the purchasing function is organized across 65 German universities emphasized the importance of the centralization/decentralization debate in procurement at Universities. They hypothesized that universities, as public institutions, would be faced with relatively greater scrutiny in the future and therefore need to have a more formalized and centralized procurement function to assist in greater accountability and transparency. Their results, however, demonstrated that there were a number of contextual factors at play in determining the level of centralization, including: the size of the university; purchasing volume; the nature of the purchases; and the experience and education of the chief purchasing officer. Both studies indicated that many higher education institutions continue to attach less importance to the procurement function compared to their private sector counterparts, which structurally and culturally place more value on the procurement function (Glock and Broens 2011; Quayle and Quayle 2000). The sweeping changes in the Australian higher education sector over the last few years have included: more competitive business models; a new national quality standards and regulatory agency – the Tertiary Education Quality and Standards Agency (TEQSA); and accountability for research quality through the 2012 Excellence in Research in Australia (ERA) framework (Schwartz 2011; Sheehy 2010; Sheil 2010). These key drivers have led to intense competition among universities, which aim to attract a greater number of domestic and international students through changes at the course, pedagogy and institutional levels with the impetus on lean processes, innovation and greater efficiency (Schwartz 2011; Shah, Lewis and Fitzgerald, 2011; Young and Nagpal 2013). Compounding these shifts is the fact that universities now have to do more with less (Bishop 2002; Shah, Lewis and Fitzgerald, 2011). As evidence of these pressures, Worthington and Higgs (2011, 388) outline several problems facing Australian universities, starting with the fact that ‘Over the period 1995-2005, total national expenditure on tertiary institutions grew more slowly (34%) than GDP (42%) and significantly less than the OECD average (58%). The clear reference is that Australian universities are substantially under-resourced’. Similarly, since the 1980’s UK higher education institutions have taken an interest in maximising resources, which has led to a number of procurement appointments aimed at developing a level of professionalism within the procurement function (Barr, 2012; Quayle and Quayle, 2000). The role of procurement in universities is central to acquiring the best products and services to meet the changing demands for more sophisticated and modern facilities and equipment; and more productive and talented staff, within tighter budgetary constraints (Glock and Broens 2011). Moreover, In the UK there is now a legal requirement to integrate social considerations into public procurement based on an EU directive on public spending (European Commission 2011). Accordingly, UK universities are required to report on contracts awarded based on their environmental, social and general sustainability credentials. Similarly in Australia institutional drivers are apparent such as the APCC and the increasing focus more widely on Corporate Responsibility and Sustainability Reporting (Young and Marais 2012). In this vein, Brammer and Walker (2011) suggest that the impetus for sustainable procurement stems directly from the set of national policies that drive it. As was discussed earlier, in the UK guidance comes from European directives as well as public sector regulation. In the Australian context, in 2007, the APCC, in collaboration with the New Zealand government, developed the Australian and New Zealand Government Framework for Sustainable Procurement. This is an overarching framework, designed to ‘…provide a set of national principles to assist the governments of State, Territory and Commonwealth jurisdictions and New Zealand to integrate the principles of sustainability into the procurement of goods, services and construction’ (APCC 2007, 2). Based on this, a key assumption in this paper is that SP does indeed feature within the procurement decision-making considerations in Australian and UK universities. However, the extent to which universities respond to these institutional drivers, and how they respond is of interest. Martin (2009) criticizes the Australian Commonwealth and State governments’ approach to sustainable procurement based on the fact that the APCC principles, and State Government policies do not clearly provide guidance to procurement practitioners on how to create the trade-off between sustainable credentials and price, where price continues to dominate. In addition, he argues that improvements need to be made on monitoring and reporting criteria to ensure greater sustainability embeddedness at all levels of government. Martin (2009) also cites a lack of consistency in approach in these monitoring and reporting criteria, which makes benchmarking and identification of best practice elusive (Martin 2009). Indeed Adams, Muir and Hoque (2014) in a survey of Australian government departments found that sustainability, environmental or social responsibility measures were the least used performance measures, and those utilised were mainly measures of employee diversity and non-financial economic aspects. Neo-Institutional theory focuses on the process by which structures, including schemes, rules and norms in the institutional environment become guidelines for shaping social and economic behaviour (DiMaggio and Powell 1983). 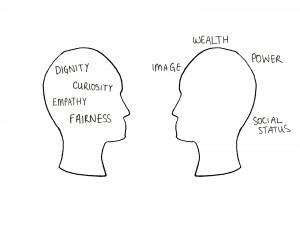 Importantly, according to institutional theorists ‘conformity to such norms and what is acceptable economic behaviour within society is what ultimately contributes to success’ (Oliver 1997, p699). Based on this ‘conformist’ argument, and Brammer and Walker’s (2011) assertion that the national policy environment plays a role in shaping decisions about sustainable procurement within public organizations, the apparent differences in the policy environment in Australia and the UK as described above are of key interest in this research. Further, there is significant diversity in the scope of stakeholders involved in decisions about procurement in universities including, students, suppliers, regulators, university staff (customers), the wider community/society, and university leadership (Glock and Broens 2011). It therefore becomes important to understand the extent to which, and how procurement decisions account for the different needs of these stakeholders (Bryson 2004). What are the drivers of SP in universities in Australia and the UK? What do universities prioritize in their SP practices? As highlighted earlier, because the research into sustainable procurement at universities is not yet rich enough to provide a robust conceptual framework for investigating the topic, an exploratory qualitative study was undertaken (Creswell, 2008). The approach consisted of two focus groups held in Australia in April and June 2012, five interviews in the UK in May 2012, and five interviews in Australia in July 2014. Of the 43 Australian universities, and 109 UK universities, the sample for this study included five Australian universities and three UK universities for the purpose of an in-depth, comparative illustration in line with the interpretivist nature of the study (Ragin, 1987). The choice to focus this research on universities in these two countries is based on the Australian and UK higher education systems sharing common roots from historical, funding and cultural perspectives. They also face similar challenges relating to private vs. public funding, and the allocation of resources, as described earlier (Barr, 1998). A purposive, snowball-sampling approach was taken to draw insights from individuals with working knowledge of procurement in universities (Patton, 1990). The advantage of this sampling approach is that it allowed the researchers access to rich sources of information, in a timely and resource efficient manner (Patton, 1990). The two focus groups were made up of a number of stakeholders in the procurement process at one university in Australia, with representation from the office of the Vice-Chancellor for Sustainability, the finance department and university infrastructure and operations. The respondents were probed on issues relating to: their perceptions of the current policy and regulatory context shaping procurement at universities; internal and external drivers for SP; current procurement policies and practice; and opportunities and challenges in implementing SP. The in-depth interviews in the UK were held with five individuals representing various procurement roles in three universities and one consultancy; four procurement professionals (2 procurement, 1 contracts and 1 purchasing manager) and one strategic procurement advisor to universities and purchasing consortia. The in-depth interviews in Australia were held with five procurement professionals. Table 1 presents an overview of the sample for this study. Institutional drivers were generally highlighted as important in the UK interviews and included public sector regulation and guidelines as well as funding provisions, thereby highlighting the lack of agency in decision making at the local university level. Even though there was an awareness of the national and state-level directives in relation to SP, it is evident that there is lack of clarity in terms of how that is operationalized. The UK Higher Education sector spends over £9 billion a year on non-pay costs and the Sustainable Procurement Centre for Excellence claims to have made £5 million in efficiency savings in one year through a range of initiatives including training of university procurement officers, development of measuring and monitoring tools and provision of resources (McFarlane 2013). In a number of cases interviewees spoke of the tension between higher costs and sustainability, both in terms of the limited supply of sustainable goods and services, and the higher short-term costs. From the UK experience, a difficulty for smaller organizations in this regard is their lack of indemnity insurance which in the past has precluded them from tendering. To alleviate such barriers, government and universities have recently run workshops for these organizations. Inconsistency in decision-making, purchasing policy and weighting of sustainability criteria were all spoken of as issues. UK5 argued that the concept of value for money could be tied in to sustainability by assigning a weighting of sustainability credentials in percentage terms during the tender process by consortia. From the ones that I’ve worked on so far for the Purchasing Consortia, I’d say on average, 15% is awarded to sustainability…Which I don’t think is a bad percentage, when you consider what the rest of the tender is made up of and price will always be up there and I don’t think that it’s appropriate to award 30%, 40%, 50% to sustainability, particularly in some commodity areas where it is still a very emerging kind of concept to some markets and it’s about starting small and progressing. Furthermore, the lack of cost apportionment has held back the SP strategy. Inability to apportion overheads such as energy has meant that whole of life costing has not been initiated to the full extent. Although not asked specifically all interviewees spoke extensively of the change process in terms of incentives to enhance SP practices as well as barriers to its implementation and progress. Hence like any other new practice the introduction and progress for SP requires a more formalized change process. And the lack of integration and strategic thinking was highlighted in regard to structure and operationalising of policy. Many Australian interviewees spoke of the lack of strategic thinking in regard to procurement. From the discussion of the considerations in embedding an effective SP policy at universities, it is clear that the challenges are significant. From lack of senior management support for the business case, a policy framework that does not provide practical and pragmatic guidance on implementation, integrating sustainability in a way that continues to deliver ‘value for money’, to improvements required in supplier engagement on the issues. Universities that had a clear and strong sustainability strategy were clearly at the forefront of developing SP policies. The activities included developing brochures, putting in place structure, focusing on gaining awards and then moving to a fuller integration. The findings from Australia and the UK highlight similarities in terms of the practices and priorities related to sustainable procurement in universities, particularly as they relate to the need to balance sustainability considerations with efficiency/cost drivers, which continue to be perceived as a trade-off. Supplier diversity and whole-of-life costing were seen as priorities for the future, with little evidence to suggest that these practices are currently being embedded.A summary of the key findings from the interviews and focus groups is presented in Table 2 Overall, the findings suggest a greater emphasis on SP in universities in the UK, compared to Australia. 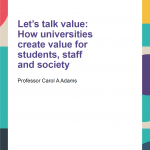 This is driven primarily through student involvement in decisions about procurement, more collaboration among universities in the form of purchasing consortiums, and a national policy context that prioritises SP in universities. In terms of the key issues perceived to impact on SP policy and process, consistency in decision-making was seen as key to the effective implementation of a policy, as was the need to have senior management buy-in into the process. The devolved purchasing environment, which is characteristic in universities, was raised as a barrier to the effective adoption of SP. In contrast, from a stakeholder perspective, UK universities appear to account for pressures from their institutional stakeholders and students in their decision-making around sustainable procurement whereas the Australian universities spoke specifically of funding pressures in this regard. 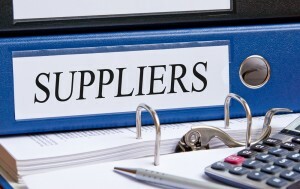 The interviews with procurement practitioners highlight that the focus of sustainability is on purchasing, and sustainability considerations that can be incorporated into the contract; rather than on other functions of procurement such as expediting, inspection or shipping (see Ward, 2008). Interestingly more broadly the transportation of goods is seen as a ‘sustainability’ consideration although not one regarded by the interviewees as a key consideration in this sector. The continued hegemony of price considerations in procurement is an ever-present barrier to implementing SP, despite its range of benefits (also see Martin 2009). Notwithstanding this, this research supports Krizek et al. (2012) in contending that university executives are generally supportive of the enhanced efficiencies/cost savings, as well as the reputational returns from sustainability efforts. However, Krizek et al. (2012, 22) claim that they are less supportive of sustainability initiatives that involve broader life cycle practices, greater stakeholder inclusion and transparency initiatives. This short term focus creates a challenge for SP, where our research highlights a need for greater emphasis on whole-life costing (a prominent feature in best practice definitions of SP) and stakeholder engagement through education and capacity building in order to drive change. Whole of life costing and more developed approaches to stakeholder engagement are tools for longer term financial success and unlikely to appeal to university executives with a short term time horizon and without a long term vision and/or plan to achieve it. Hidson and Clement (2008) suggest that costs borne through SP policies become neutralized in the medium, and lower in the long run. While this directly counters the perception that SP ‘costs’ more in absolute terms, it still continues to be a sticking point for university leaders faced with year-on-year budgetary pressures. This points to the imperative of University Councils holding management to account for strategy documents which generally have a medium to long term horizon (Adams 2013). The range of sustainable alternatives has also been seen to be an issue in developing clear SP practices. The data from this research on the efficiency/cost drivers for SP and a number of sources have highlighted this shortage (see Brammer and Walker 2011; Meehan and Bryde 2011; Srivastava 2007; Velazquez et al. 2006; Walker et al. 2008; Walker and Jones 2012). Assuming a lack of sustainable alternatives to supply as axiomatic, the challenge then becomes one of collaboratively building capacity among suppliers to produce more sustainable products. As Meehan and Bryde (2011) point out, sustainable procurement can often lead to competing and compromising positions regarding two or more elements of the triple bottom line (TBL). In this case, sourcing locally drives the social agenda, while local suppliers often do not have the capacity or scale economies to produce products with strong environmental credentials cheaply. This then also negatively affects the economic bottom line, thereby creating the oft-present trade-off between the three elements of the TBL. 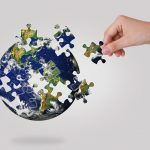 A number of the barriers spoken of demonstrate a general lack of understanding and familiarity with sustainable procurement at all levels of the organization. In order to provide the legitimacy SP requires, the importance of strong leadership in driving the knowledge and change is imperative (also see Adams, Heijltjes, Jack, Marjoribanks, and Powell 2011; Mulder 2010; Wright 2002). Brammer and Walker (2011) also stress that organizations need the skills, capacity and knowledge to develop the competencies required for effective strategic procurement policy formation and execution. Other studies have also found that ‘purchasing managers are unsure of how to incorporate ethical and social issues in their buying’ (Cooper et al. 2000; Maignan et al. 2002, cited in Brammer and Walker 2011, 457). The development of an SP strategy hinges on the organizations’ structure, culture, and incentive structures in driving it (also see Brammer and Walker 2011). There is a dearth of research on the role of incentives in delivering an effective sustainable procurement strategy. Krizek et al. (2012) argue that unless there are clear incentives such as increasing resources available to the function, pay raises linked to key activities and employee rewards attached to any sustainability effort, positive results are likely to be untenable. This could form part of a more formalized change program. Organizational culture has been examined from a number of different perspectives in this context. Lutz (2009) for example, addresses the supporting factors required for effective alignment of sustainable procurement and sustainable development goals and their integration at universities. These are factors such as transparency, organizational culture and strategy. This is supported by Adams (2013) who emphasizes the importance of collaborative leadership styles (particularly relevant given the decentralization of University SP), a whole of University approach to sustainability and the commitment of the Vice-Chancellor/President and University Council. Moreover, Button (2009) argues that innovation in sustainable procurement requires a culture and mind-set shift, towards one that is centred on the principles of sustainability currently lacking in the Australian university sector in particular (Adams 2013). The findings from this research suggest a significant role that the institutional environment plays in creating the organizational impetus for SP, in terms of institutional structures, funding pressures and regulation. This supports the ‘conformist’ perspective in Neo-Institutional theory (DiMaggio and Powell 1983; Oliver 1997), where organisational processes and structures align with their respective institutional environmental norms and pressures over time. Moreover, the institutional environment where stakeholders have increasing influence through norms and cultural expectations seems to be more influential at the moment this research was conducted in the UK compared to Australia. Our research shows that in universities in both countries, SP is occurring in some areas such as food, stationery, waste, travel and recycled paper. This emphasizes the need for sustainability to be integrated into overarching university vision statements and strategic plans in order to facilitate change (also see Scott, Tilbury, Sharpe and Deanne 2012). Based on evidence from the UK interviews, this is unlikely to happen unless universities are held to account for their sustainability performance. As Jones (2014) cautions the adoption of neo liberalism in the higher education context can influence the adoption of environmental and sustainability policies in terms of institutional greenwashing. Accountability measures can go some way to ensuring the adoption of such policies is integrated and taken into account more broadly than simply being based on price considerations. Accountability in terms of going beyond institutional considerations such as ‘league tables’ (such as Green League Tables, see Jones, 2014) and a focus on carbon reduction, to one that more broadly encompasses a broader range of measures including transportation and expediting, ethical procurement and investing, local employment and stakeholder engagement (including staff and students). The research demonstrates the potential for developing a compelling business case for SP, where the perception of higher costs in the short term can be mitigated. The greater challenge, however, remains in that embedding SP requires significant organizational changes to be enacted within and outside the university’s boundaries. Indeed, as Walker and Phillips (2006) posit, sustainable procurement is challenging mostly because of the amount of change required outside the boundaries of the organization; to the supply chain, policymakers and partners (such as purchasing consortia (Burley et al. 2012)). Our research demonstrates that Universities could be drivers of such change and points to longer term benefits of taking this leadership position. Further research might examine the extent to which sustainability issues are included in University procurement Key Performance Indicators and policies and best practice for doing so. Moreover developing a larger survey would produce more generalizable findings. This research has limitations as it is exploratory and therefore not generalizable, focusing on universities in two countries and interviewing only those involved in procurement. Surveying university management more broadly as well as staff and students would add to the richness of the data. And in doing so answer other questions that the paper raises in terms of the role of students and whether universities can drive change more broadly. While the literature and practice of sustainable procurement has largely focused on environmental concerns to date, there is now a shift towards incorporating social issues such as bribery, unfair contracting, health, safety and ethnic minority suppliers in an integrated fashion (Brammer and Walker 2011; Walker and Phillips 2006). This research highlights this change of focus and points to the changing priorities with special emphasis on local purchasing and local employment. Demonstrating an increased emphasis and growing popularity of university purchasing consortia, the paper highlights the opportunity to build momentum for change through leveraging these consortia, especially in relation to supplier selection and capacity building among suppliers. ACCSI (2013) Labour and Human Rights Risks in Supply-Chain Sourcing. Australian Council of Superannuation Investors and Regnan Governance Research & Engagement, Melbourne, Australia. Adams, C. A. (2013) Sustainability reporting and performance management in Universities: challenges and benefits, Sustainability Accounting, Management and Policy Journal, 4:3 pp384-392. Adams, C. A., Heijltjes, M., G. , Jack, G., Marjoribanks, T., and Powell, M. (2011) The development of leaders able to respond to climate change and sustainability challenges. Sustainability Accounting, Management and Policy Journal, 2:1 pp165-171. APCC (2007) Australian and New Zealand Government Framework for Sustainable Procurement. Australian Procurement and Construction Council, Canberra, Australia. Arlbjørn, J. S., and Freytag, P. V. (2012) Public procurement vs private purchasing. International Journal of Public Sector Management, 25: pp203-220. Barr, N. (1998) Higher education in Australia and Britain: What lessons? Australian economic review, 31:2, pp179-188. Barr, N. (2012) The Higher Education White Paper: The Good, the Bad, the Unspeakable–and the Next White Paper. Social Policy & Administration, 46:5, pp483-508. Bishop, J. E. (2002) Consortium Purchasing. New Directions for Higher Education, Winter, p120. Brammer, S., and Walker, H. (2011) Sustainable procurement in the public sector: an international comparative study. International Journal of Operations & Production Management, 31:4 pp452-476. Bryson, J. M. (2004) What to do when stakeholders matter: stakeholder identification and analysis techniques. Public management review, 6:1 pp 21-53. Bull, R., Meida, L. O., and Holland, C. (2011) Briefing Paper: Sustainable Procurement and Carbon Management: the potential for savings. DeMontfort University, Leicester, UK. Burley, D., Gnam, C., Newman, R., Straker, H., and Babies, T. (2012) Leveraging higher education consortia for institutional advancement. International Journal of Educational Management, 26:3 pp274-283. Button, C. E. (2009) Towards carbon neutrality and environmental sustainability at CCSU. International Journal of Sustainability in Higher Education, 10:3 pp279-286. CIPS (2009) Knowledge Summary – Sustainable Procurement: Chartered Institute of Purchasing and Supply, London, UK. Creswell, J. W. (2008) Educational research: planning, conducting, and evaluating quantitative and qualitative research. Upper Saddle River, NJ: Pearson/Merrill Prentice Hall. Currie, J., and Vidovich, L. (2000) Privatization and competition policies for Australian universities. International Journal of Educational Development, 20:2 pp135-151. DEFRA (2006) Procuring the Future – The Sustainable Procurement Task Force National Action Plan, Department of Environment, Food, and Rural Affairs, London, UK. DiMaggio, P. J., and Powell, W. W. (1991) The new institutionalism in organizational analysis (Vol.17). Chicago, IL: University of Chicago Press. Econsense (2013) Sustainability in Global Supply Chains. Econsense, Copenhagen, Denmark. GRI (2013) G4 Sustainability Reporting Guidelines. Global Reporting Initiative, Amsterdam, The Netherlands. Glock, C. H., and Broens, M. G. (2011) The Organization of Purchasing at German Universities: An Empirical Investigation. International Journal of Public Administration, 34:10 pp662-673. Harms, D., Hansen, E. G., and Schaltegger, S. (2013) Strategies in Sustainable Supply Chain Management: An Empirical Investigation of Large German Companies. Corporate Social Responsibility and Environmental Management, 20:4 pp205–218. Hidson, M. and Clement, S. (2008) Driving Sustainability through Procurement: The Procura+ Campaign, 3rd International Public Procurement Conference Proceedings. 28-30 August 2008, Amsterdam, The Netherlands. Jones, D. R. (2014) Biting the League table that feeds: Reflections on manageralism at work within UK Unievrsity Sustaianability Agendas, Journal of Workplace Rights, 17:3-4 pp389-410. Krizek, K., J. , Newport, D., White, J., and Townsend, A. R. (2012) Higher education’s sustainability imperative: how to practically respond? International Journal of Sustainability in Higher Education, 13:1 pp19-33. Lukman, R., and Glavič, P. (2007) What are the key elements of a sustainable university? Clean Technologies and Environmental Policy, 9:2 pp103-114. Lutz, P. (2009) Addressing sustainable development through public procurement: the case of local government. Supply Chain Management, 14:3 p213. Martin, L. (2009) Sustainable Government Procurement: An assessment of current policies, practices and opportunities for improvement. Total Environment Care Inc, Sydney, Australia. McFarlane, A. (2013) Sustainable Procurement Centre of Excellence Leadership, Government and Management Fund Project no. 109 – end of project report. Higher Eduction Funding Council for England, London, UK. Meehan, J., and Bryde, D. (2011) Sustainable procurement practice. Business Strategy and the Environment, 20:2 pp94-106. Miles, M. B. and Huberman, A. M. (1994) Qualitative Data Analysis: An Expanded Sourcebook. Thousand Oaks: Sage Publications. Mulder, K. F. (2010) Don’t preach. Practice! Value laden statements in academic sustainability education. International Journal of Sustainability in Higher Education, 11:1 pp74-85. Oliver, C. (1997) Sustainable competitive advantage: Combining institutional and resource-based views. Strategic Management Journal, 18:9 pp697–713. Patton, M. Q. (1990) Qualitative evaluation and research methods (2nd ed.). Newbury Park, CA: Sage Publications. Quayle, M., and Quayle, S. (2000) The impact of strategic procurement in the UK further and higher education sectors. International Journal of Public Sector Management, 13:3 pp260-284. Ragin, C.C. (1987) The comparative method: moving beyond qualitative and quantitative strategies. Berkeley (CA): University of California Press. Schwartz, S. (2011) Irreconcilable differences. The Times Higher Education Supplement, 05 July 2011, p28. Scott, G., Tilbury, D., Sharp, L., Deane, E. (2012) Turnaround Leadership for Sustainability in Higher Education Institutions. Office for Learning and Teaching, Department of Industry, Innovation, Science, Research and Tertiary Education. Sydney, Australia. Shah, M., Lewis, I., and Fitzgerald, R. (2011) The renewal of quality assurance in Australian higher education: the challenge of balancing academic rigour, equity and quality outcomes. Quality in Higher Education, 17:3, pp265-278. Sheehy, B. (2010) Regulation by markets and the Bradley Review of Australian Higher Education. Australian Universities Review, 52:1 pp60-68. Sheil, T. (2010) Moving beyond University Rankings: Developing a World Class University System in Australia. Australian Universities Review, 52:1 pp69-76. Sloan, T. W. (2010) Measuring the Sustainability of Global Supply Chains: Current Practices and Future Directions. Journal of Global Business Management, 6:1 p92-107. Srivastava, S. K. (2007) Green supply chain management: A state of the art literature review. International Journal of Management Reviews, 9:1 pp53-80. Thomson, J., and Jackson, T. (2007) Sustainable procurement in practice: Lessons from local government. Journal of Environmental Planning and Management, 50:3 pp421-444. Velazquez, L., Munguia, N., Platt, A., and Taddei, J. (2006) Sustainable university: what can be the matter? Journal of Cleaner Production, 14:9 pp810-819. Walker, H., Di Sisto, L., and McBain, D. (2008) Drivers and barriers to environmental supply chain management practices: Lessons from the public and private sectors. Journal of Purchasing and Supply Management, 14:1 pp69-85. Walker, H., and Jones, N. (2012) Sustainable supply chain management across the UK private sector. Supply Chain Management: An International Journal, 17:1 pp15-28. Walker, H., and Phillips, W. (2006) Sustainable procurement: Emerging issues. In International Public Procurement Conference: Proceedings 21-23 September 2006, Rome, Italy. Walton, S., V. , and Galea, C., E. (2005) Some considerations for applying business sustainability practices to campus environmental challenges. International Journal of Sustainability in Higher Education, 6:2 pp147-160. Ward, G. (2008) The project manager’s guide to purchasing. Hampshire: Gower. Worthington, A. C., and Higgs, H. (2011) Economies of scale and scope in Australian higher education. Higher Education, 61:4 pp387-414. Wright, T. S. A. (2002) Definitions and frameworks for environmental sustainability in higher education. Higher Education Policy, 15:2 pp105-120. 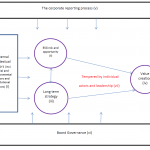 Young, S. and Marais, M. (2012) A multi-level perspective of CSR reporting: The implications of national institutions and industry risk characteristics, Corporate Governance: An International Review, 20:5 pp432–450. Young, S. and Nagpal, S. (2013) Meeting the Growing Demand for Sustainability-Focused Management Education: A Case Study of a PRME Academic Institution, Higher Education Research & Development, 32:3 pp493-506.